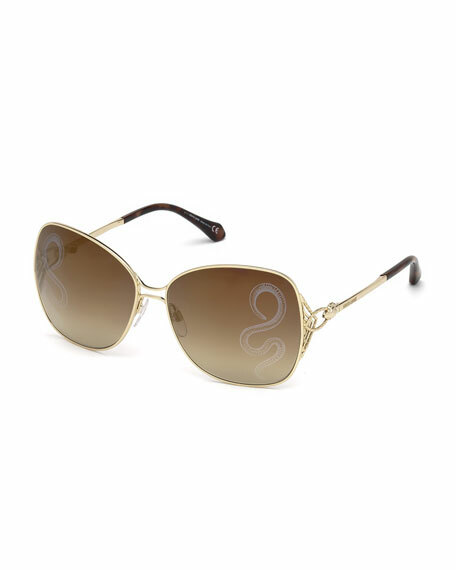 Roberto Cavalli butterfly sunglasses in metal. Gradient lenses with snake print. Cabochon detailing at open temples.